There were ten ideas in the final round and the four with the greatest business potential received funding. According to chair of the Vega fund jury and UT Vice Rector for Development Erik Puura, the chosen projects are all in different stages. “Some are only starting their project and some need resources for the final development of the product. The Vega fund’s goal is to give a push at the right time and hope that the grant helps to achieve maximum results,” said Puura. The jury admitted that although the projects were very research-based, there was not much focus on the business value of the idea. This is an aspect which needs developing and is expected from future Vega fund applicants. The biggest grant of the fourth round of the Vega fund, 8500 euros, went to the project “CrystalSpace”, which is intended for industrial and space technology enterprises. The team develops special purpose cameras to be used on satellites or in other extreme conditions, for example, in vacuum. The camera design is based on the solution used for Estonia’s first student satellite EstCube-1. 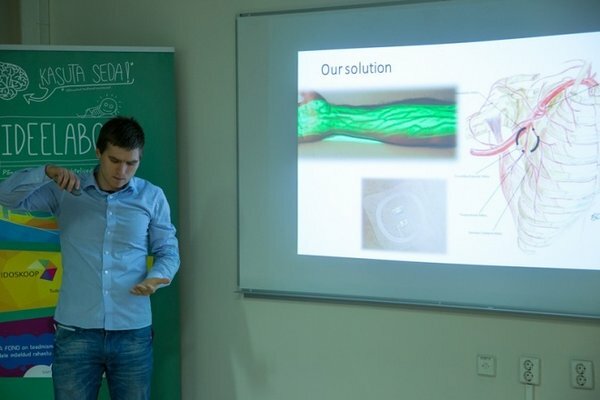 4000 euros was given to the team “3D filament”. They are developing the most durable and strongest polymer material to use in 3D printers. What sets them apart from competitors is the product’s lower price and weight, as less material is needed for 3D printing. Another 4000 euro grant was given to “Bloodflow”. The project’s team is developing a sensor which provides a simple and automatic system to measure systolic and diastolic blood pressure in real-time. The method is based on 3D imaging of blood vessels. According to Mart Maasik, “Bloodflow” was still in the start-up phase but they needed a push to take the first step. “Even though they are only starting, they demonstrated the size of their market and business the best,” Maasik acknowledged the potential of the team and encouraged others to submit so to say raw research-based business ideas to the contest. “Not knowing the answers to several questions in the initial phase of the idea is temporary. You need to have the courage to try. Not all questions have answers when the idea is still fresh. These will come in time and there will be less uncertainty. The first step is to overcome insecurity, be creative and ambitious,” said Maasik and added that strong teams will find funding. 3600 euros went to support the project “GrID” which aims to make people’s entry into buildings automatic, secure and convenient. For this, the team needs to develop a security system which does not require the use of keys and key cards. 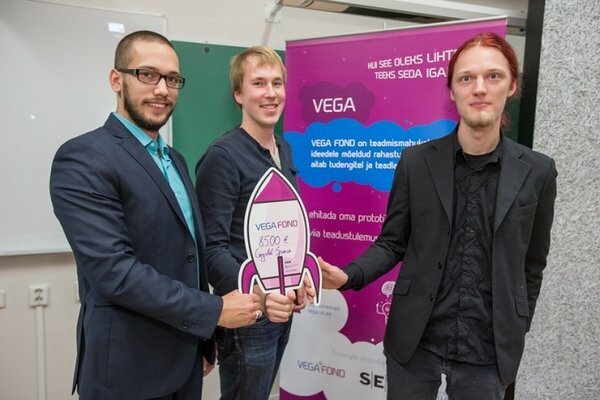 The Vega fund (vega.ut.ee), created by the SEB Bank and the University of Tartu Idea Lab, is the first funding facility for knowledge-intensive ideas. Through the fund, the SEB Bank gives 150,000 euros over a period of three years to support the transfer of innovative solutions to everyday use.